The first thorough assessment of the field of comparative religion in forty years, this groundbreaking volume surmounts the seemingly intractable division between postmodern scholars who reject the comparative endeavor and those who affirm it. The contributors demonstrate that a broader vision of religion, involving different scales of comparison for different purposes, is both justifiable and necessary. 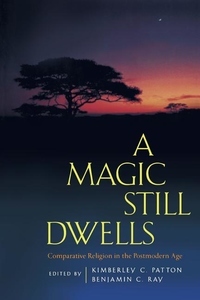 A Magic Still Dwells brings together leading historians of religions from a wide range of backgrounds and vantage points, and draws from traditions as diverse as Indo-European mythology, ancient Greek religion, Judaism, Buddhism, Ndembu ritual, and the spectrum of religions practiced in America. The contributors take seriously the postmodern critique, explain its impact on their work, uphold or reject various premises, and in several cases demonstrate new comparative approaches. Together, the essays represent a state-of-the-art assessment of current issues in the comparative study of religion.